Click Here to download the quick document which explains how to download and display S57 NOAA Charts in TZ Professional. The official S57/S63 charts are updated every week. These charts respect the S52 standard developed by the International Maritime Organization (IMO). 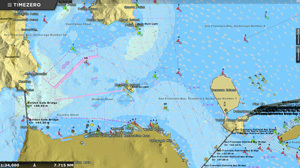 The iconography offers a simplified display in order to improve the readability of the marine charts on screens.